Louie's Cafe had it's beginning on North Street in downtown Baton Rouge. It was in the 1920's, and Louie Sisk called his eatery "Louie's Dutch Mill". Louie's friend, Nat Chesnut, offered him a new location on Chimes Street adjacent to the Louisiana State University Campus. The spot was formerly a "toddle house". It was a tiny building with only eleven stools at the counter and no tables. In 1941 Louie moved his "Dutch Mill" to Chimes Street. He operated there through the 40's, 50's, 60's, and into the 70's. Louie Sisk passed away in 1977. His wife operated the cafe until she sold it to three enterprising college students in 1978. 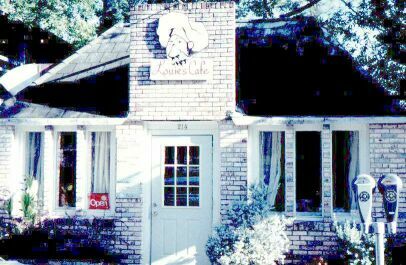 James Wetherford and his two partners changed the name to Louie's Cafe. In 1979 James bought out his partners' interest and became the sole owner. After over forty years on Chimes Street, Louie's moved to State Street, its present location. 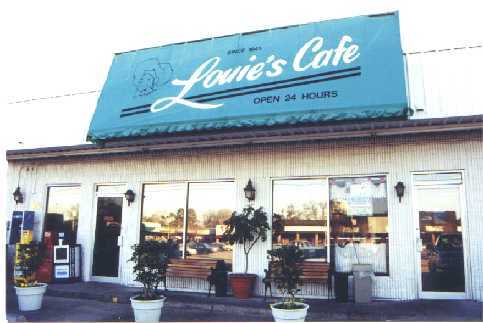 In 1986 James went into a partnership with Frank Duvic who was owner and operator of "The Bayou" and together they decided to make Louie's a 24 hour diner. Frank has since left and opened "Duvic's," leaving James Wetherford to run Louie's Cafe on his own. restaurants in Baton Rouge and a proud member of a fine culinary community. Just print it up, fill it out, and drop it in!